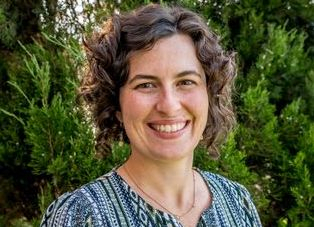 Jennifer Medina, Ph.D. is owner of the Rocky Mountain Neurobehavioral Associates and a clinical neuropsychologist who specializes in cognitive assessment, psychotherapy, and mindfulness. As a fellowship trained neuropsychologist, Dr. Medina provides comprehensive neuropsychological assessment of cognitive functioning to characterize thinking abilities and to assist with diagnosis and treatment planning. Dr. Medina's psychotherapy practice is focused on working with adults experiencing cognitive or neurological difficulty. This includes people experiencing memory or attention problems, a neurological or medical diagnosis, or those experiencing depression or anxiety. Dr. Medina uses an integrative style to meet the needs of each client. Her psychotherapy techniques include mindfulness and cognitive/behavioral based interventions to improve mood symptoms and enhance cognitive health and wellness. Psychotherapy sessions are with individuals and/or their families to help with ways to manage cognitive, behavioral, and emotional difficulty. Dr. Medina received her Ph.D. in clinical psychology with a specialization in neuropsychology in 2009 from Northwestern University's Feinberg School of Medicine. She received internship training in neuropsychology from Rush University Medical Center in Chicago, and completed a 2-year fellowship in neuropsychology at the University of Illinois at Chicago. Dr. Medina was clinical faculty in the Cognitive Neurology and Alzheimer's Disease Center at Northwestern before moving to Denver in 2015 and opening the practice. Dr. Medina is a Licensed Clinical Psychologist in Colorado (#4192) and Illinois (071008081). She serves on the board of the Rocky Mountain Stroke Center and the Medical Advisory Council of the Colorado Neurological Institute. Click HERE for Dr. Medina's detailed education, clinical and research background. 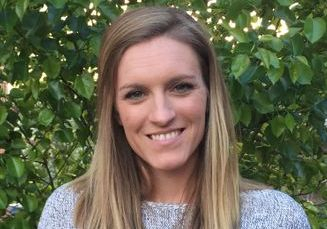 Maggie Mathieson, M.S., CCC-SLP is a certified speech-language pathologist and holds a Colorado License in Speech Pathology. She earned her Bachelor’s degree in Communication Disorders from Butler University and a Master’s of Science Degree in Speech Language Pathology from the University of Wyoming. Maggie has extensive experience in various acquired and developmental speech, language, and cognitive disorders including aphasia, dysarthria, apraxia, dysphagia, cognitive communication, expressive/receptive language delays, and phonological/articulation disorders. Maggie's proven clinical experience is a result from working in acute inpatient rehabilitation, acute care hospitals, outpatient rehabilitation and public school settings. In addition to these experiences, Maggie worked at the Rehabilitation Institute of Chicago (RIC) where she was selected to serve as a lead therapist for the Intensive Aphasia Program and worked closely with researchers from RIC's Center of Aphasia Research and Treatment to implement research into practice. Maggie served as a member of RIC's movement disorders clinic, which consisted of interdisciplinary evaluations and recommendations for patients with Parkinson's Disease and other movement related conditions. She uses her cumulative and wide-ranging experiences as the cornerstones to provide the most comprehensive treatment approach using the latest in peer-reviewed research. With her caring and creative approach, Maggie builds working relationships with patients quickly and personalizes therapy for every individual. Mary brings a variety of experience to her role at Rocky Mountain Neurobehavioral Associates. She has worked as a social worker in a Skilled Nursing Facility, at The Alzheimer's Association Nation Office 24-Hour Call Center, and as the Assistant Director of Education at Northwestern University's Cognitive Neurology and Alzheimer's Disease Center. She has focused much of her career on designing programs for people in the early stages of a dementia diagnosis, researching non-medical interventions for people with an early-stage dementia, advocating for the needs of families living with a diagnosis, as well as community education and outreach. Mary received her BA from Boston College, where she majored in Sociology. She went on to receive an Masters of Arts in Social Service Administration from the University of Chicago. Mary is a Licensed Clinical Social Worker (#4197) in the state of Colorado. Psychotherapist specializing in evidenced-based treatment for PTSD, trauma, anxiety, depression. More info coming soon!